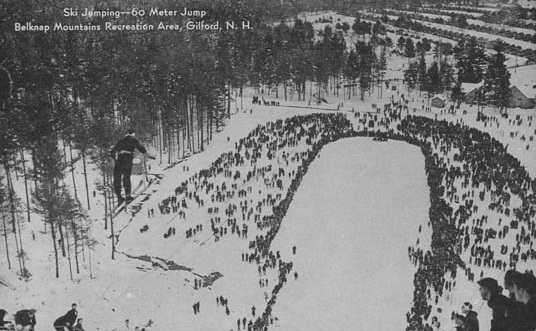 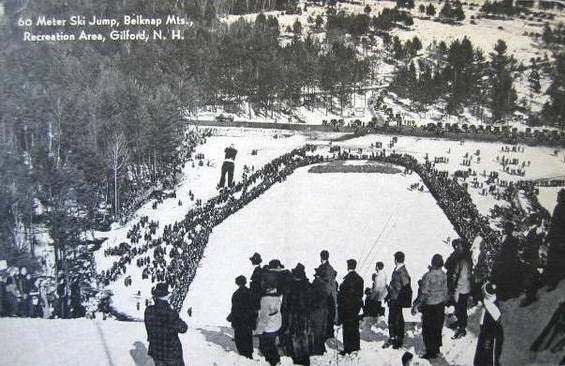 With the inauguration of the new 60-meter jump in February 1937 until early 1940's huge crowds flocked to watch jumping competitions at the Belknap Mountains Recreation Area in Gilford, NH, known today as Gunstock Mountain Resort. 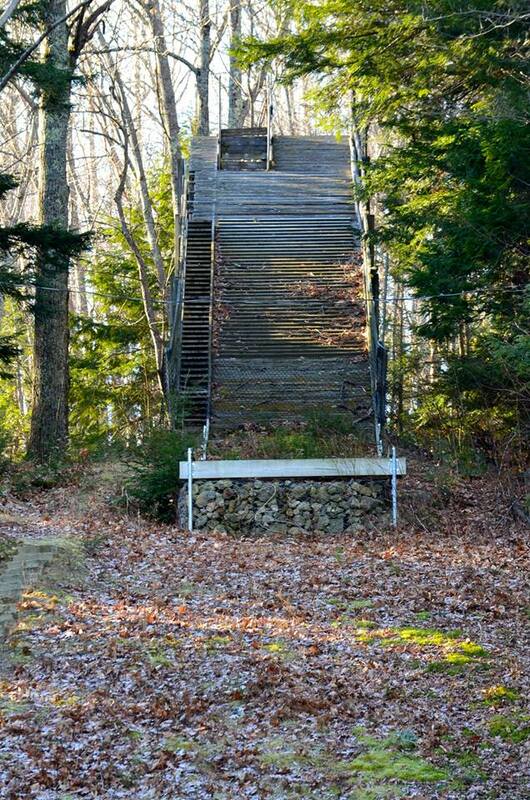 The ski jumping hill was built by Hussey Manufacturing Company of North Berwick from summer 1935 onwards. 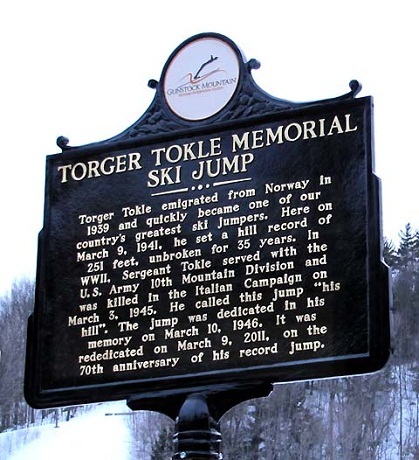 Norwegian immigrant Torger Tokle set the hill record of 251 ft. (76.5 m) on "his" ski jump in 1941, a record that stood for 35 years until the enlargement of the hill. 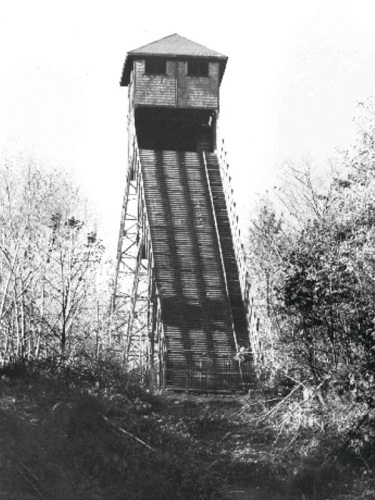 The jump was named in memory of Tokle in March, 1946, after he was killed during the Italian Campaign of World War II one year before. 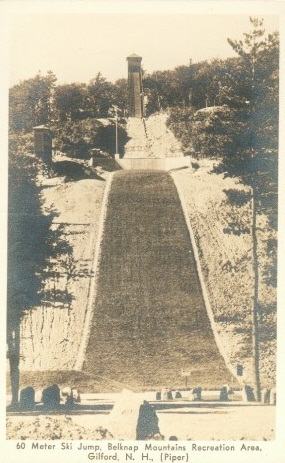 The two smaller hills were already added in 1937-38, while K50 was constructed in 1949. 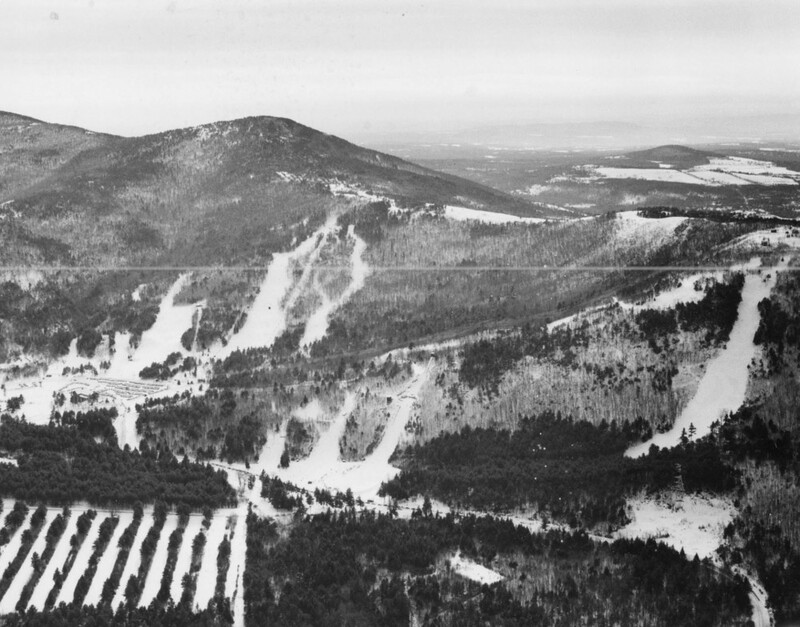 After the larger hill was enlarged in 1976, the Gunstock Ski Area had been in use with all four hills K87, K50, K26 and K18 until 2004. 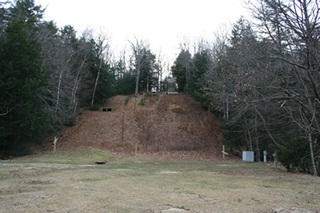 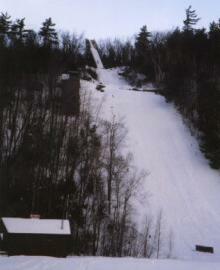 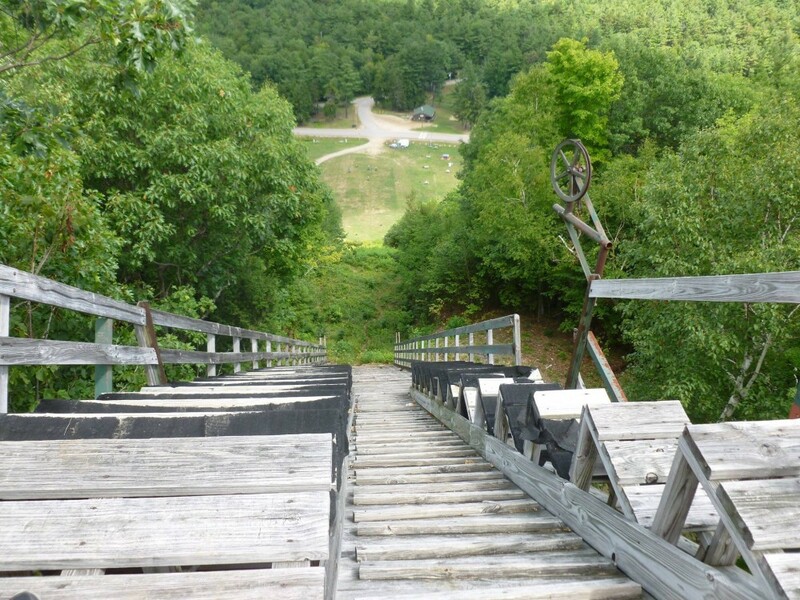 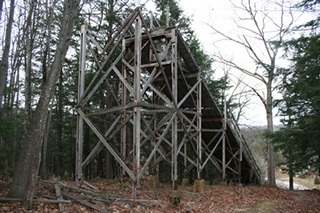 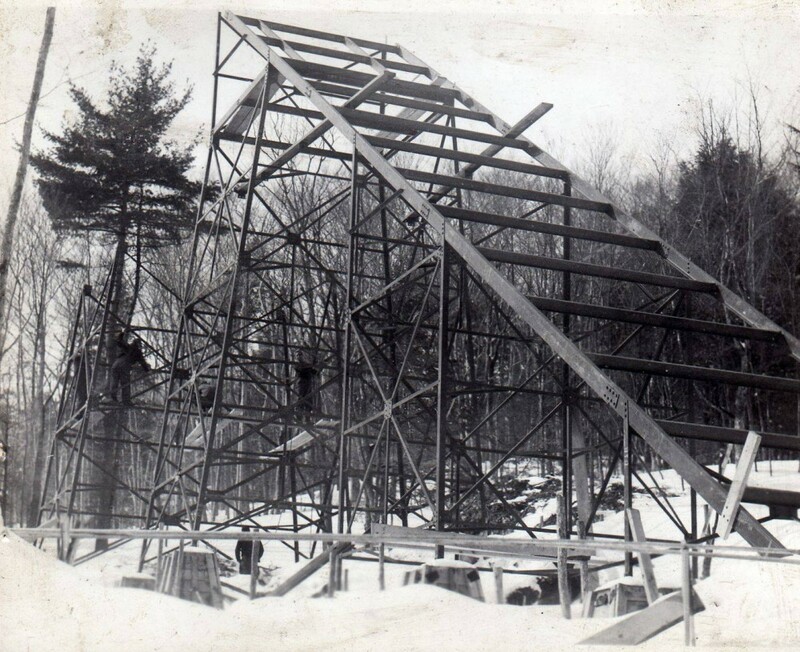 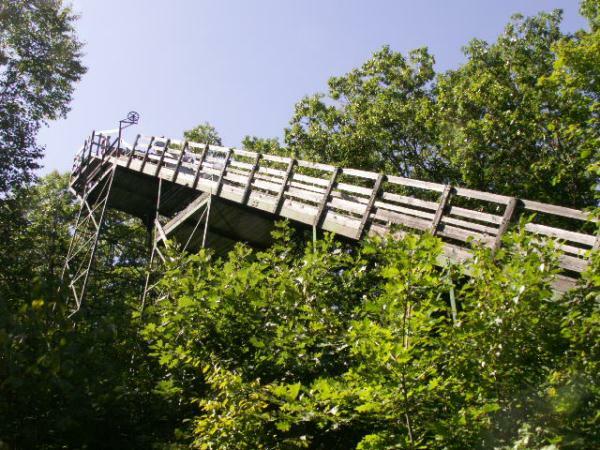 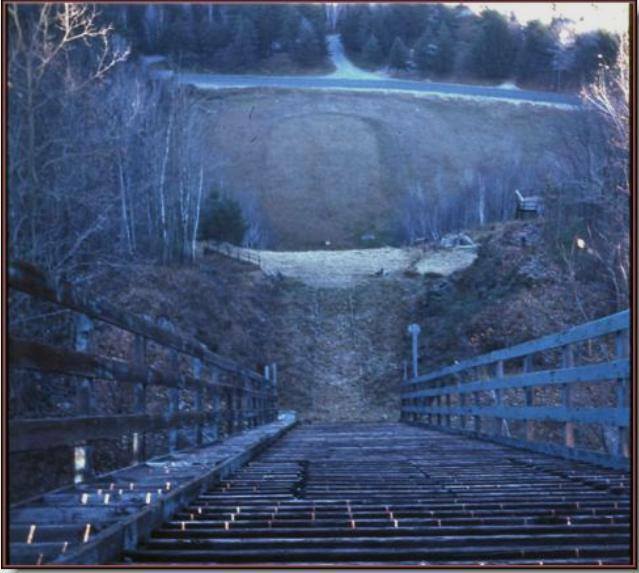 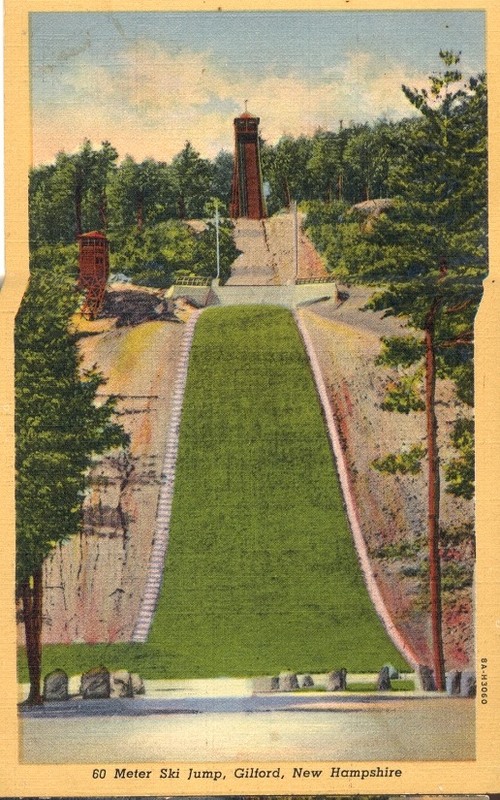 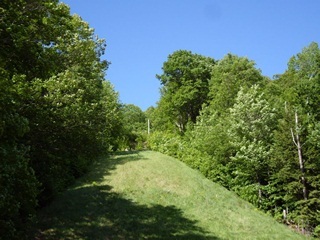 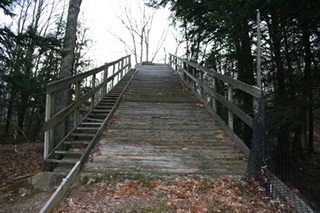 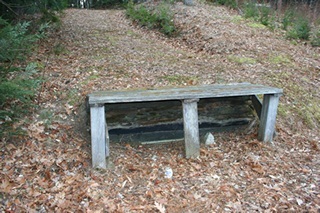 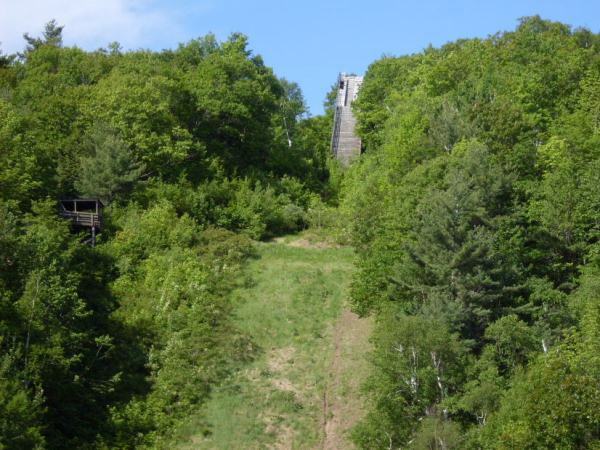 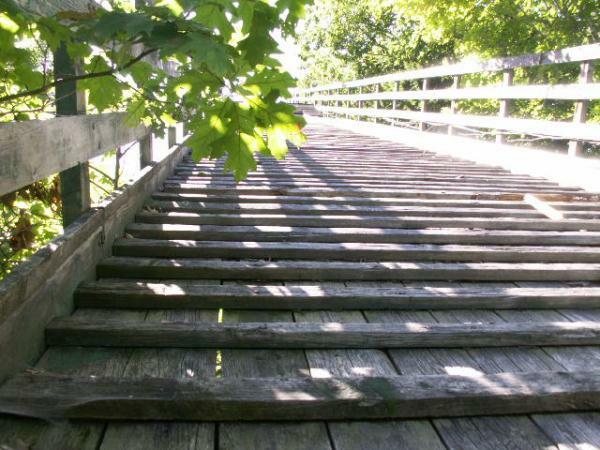 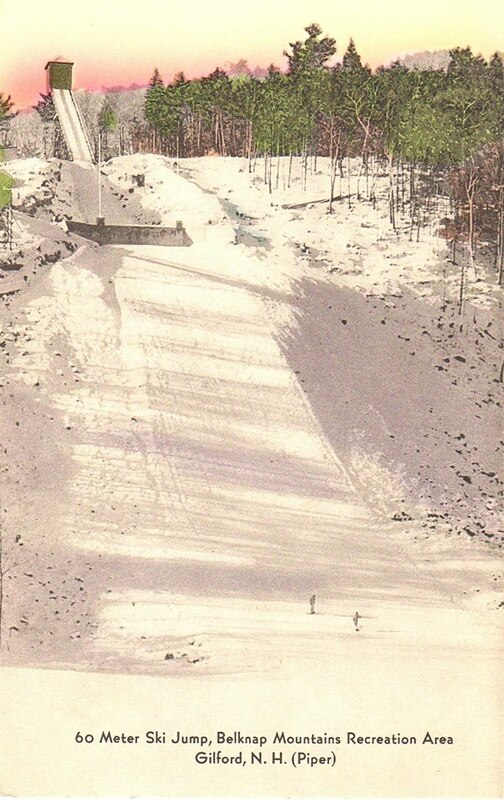 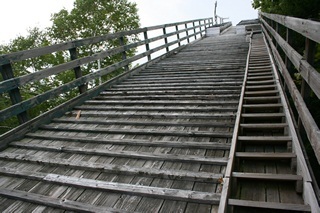 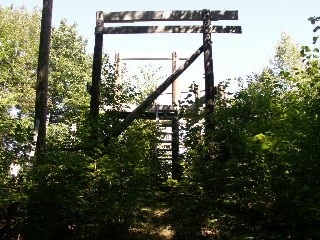 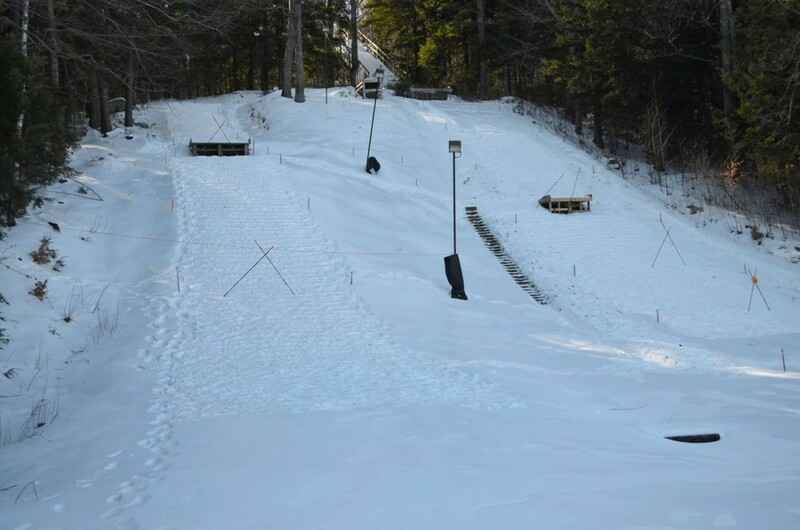 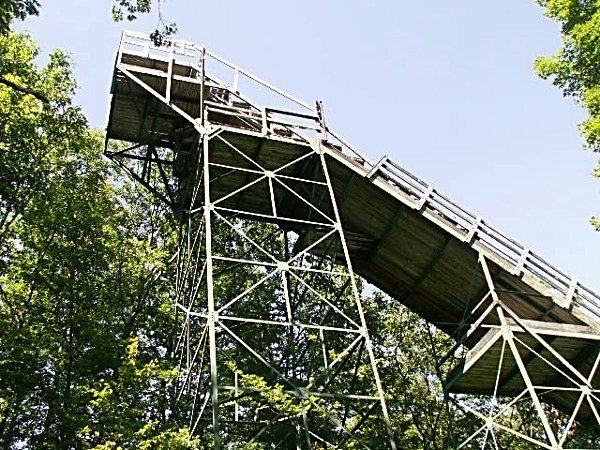 Since the heritage of Torger Tokle was about to dilapidate, "Gunstock Mountain Historic Preservation Society" has taken over the preservation of the ski jumpings hills in 2009. 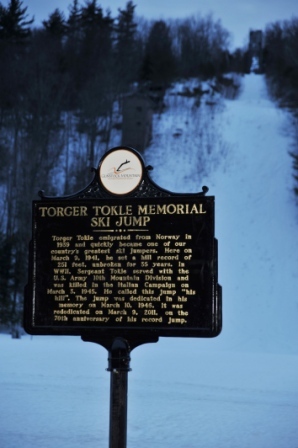 Already for the 70th anniversary of Torger Tokle's record jump on March 9, 2011, the large jump was rededicated to him and a memorial sign board installed. 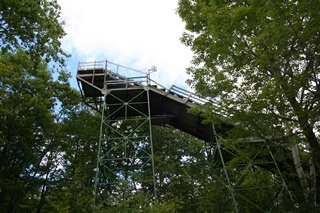 The modernization of the jumping hills for more than 1 million Euro started in 2012.